Black handle and bird-shaped whistle in polyamide. This celebrated kettle with the bird that sings when the water has boiled was a great success when it was introduced in 1985. 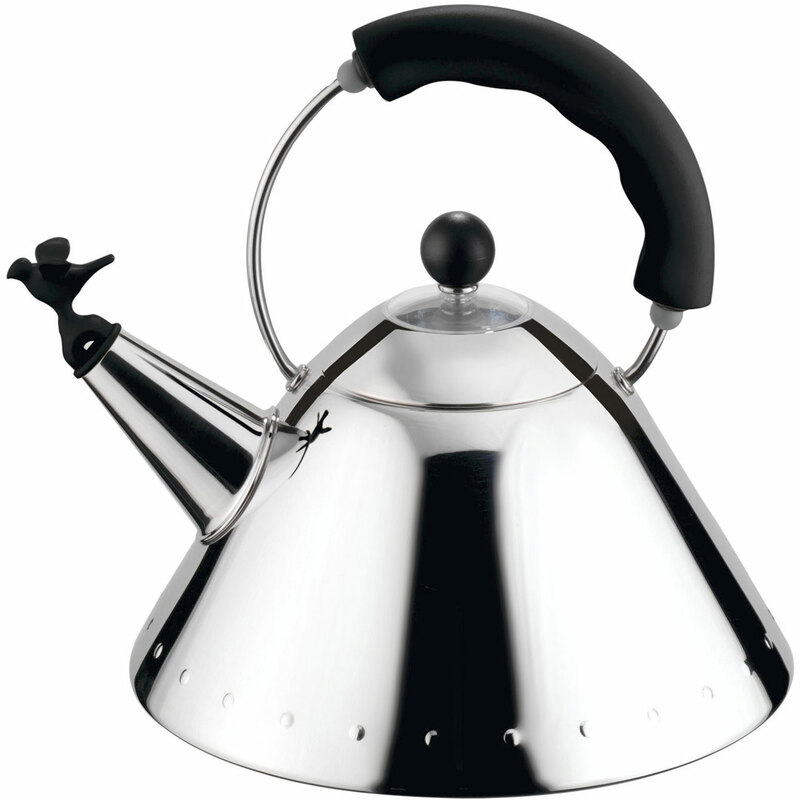 For Alessi it represented a meeting of great design and mass production methods – a combination that Michael Graves worked hard to achieve, applying his personal visual code which fused influences from Art Deco to Pop Art. She's sitting pretty on my gas stove top.... Alessi pieces - unique and timeless. 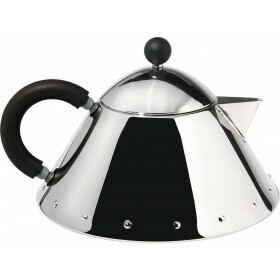 This is such a gorgeous little kettle. Teddingtons were efficient, and kept in contact constantly with delivery. 5 Stars! I ordered on a Wednesday and received my order the next day. The product was as described and cheaper than anywhere i could find. 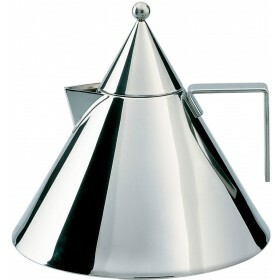 Absolutely love my Alessi kettle. It looks amazing, the design has stood the test of time. 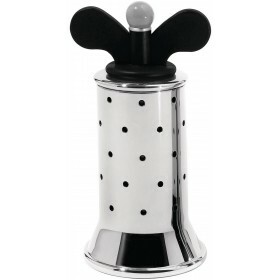 Not only is it practical ad easy to use and look after, it just looks amazing in my kitchen. Highly recommended, easy transaction. 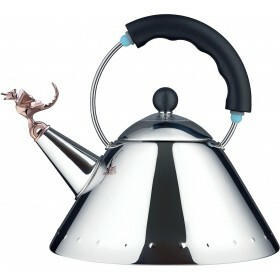 This kettle doesnt just look fantastic, it is fantastic. Boils quickly, light weight and beautiful looking. 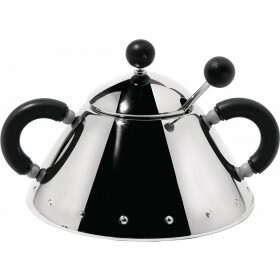 I have wanted this kettle for years but my other one would not wear out. Finally I have my Alessi and I couldn't be happier. The whole online experience was trouble free. Excellent transaction. Thank you. Highly recommended. 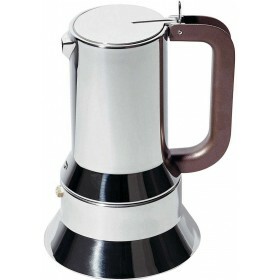 Thankyou received kettle two days after purchasing! A pleasure to deal with! Highly recommended seller!!! So very happy with this kettle and the price was superb. thanks again.